Shure WCE6 Earset MicrophonePractically invisible to live or broadcast audiences, the WCE6 earset microphone is the smallest, lightest and most comfortable microphone of its kind.The WCE6 can be used in different radio systems. In the following table you can see which wireless system is the be..
Bosch DCN Wireless Conference Discussion Microphone SystemInnovationsDCN Wireless Discussion SystemQuick set-up – No impact on locationThe wireless system allows owners to service customers better, easily and more effectively. 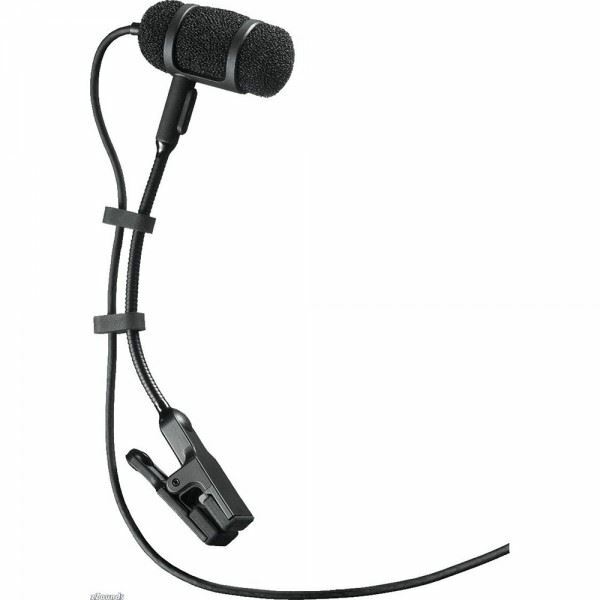 With minimal time required for set-up or break-down, multiple events can ..
Line 6 XD-V75L Digital Wireless Lavalier SystemThe XD-V75L Digital Wireless Lavalier Microphone System is a hands-free system designed for use in all types of live stage and broadcast applications. Offering spectacular audio quality, XD-V75L systems feature exclusive EQ filter modeling technology co..
Sennheiser e-908 Microphone - Saxophones, Trumpets, DrumsThe evolution e 908 instrument microphone is available in four variants:as e 908 D for drums and percussionas e 908 B for wind instruments, congas, and drums with free-floating suspension systemas e 908 B ew for the wireless miking of saxophon..
Sennheiser E835S Mic CabelDynamic cardioid microphone designed for speech and vocals. With a solid sound that cuts through high volumes on stage. Intended for home recording, semi-pro studios and live sound applications. Extra on/off switch.OverviewEverything else is just standard.Not plastic, metal..